European Union governments have agreed to ban imports of Iranian oil as part of a Western campaign to pressure Iran over its controversial nuclear program. EU diplomats said Wednesday the governments of the 27-nation bloc agreed in principle on an Iranian oil embargo but need more time to discuss when to implement the measure. France wants EU foreign ministers to set a date for the embargo at a meeting on January 30. U.S. State Department spokeswoman Victoria Nuland welcomed the EU agreement to ban Iranian oil imports, saying other countries should take similar action to "tighten the noose on Iran economically." The EU is one of Iran's biggest markets for oil, an export that generates most of the Iranian government's revenue. 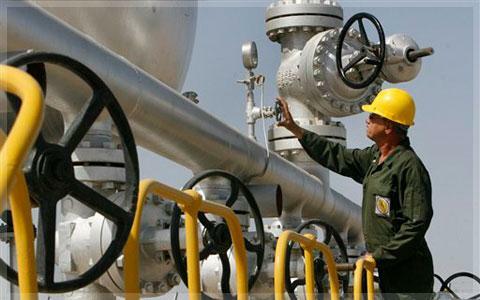 China is the top buyer of Iranian oil. Some traders say Iran may be forced to offer steep discounts on its oil to attract other buyers and make up for lost exports to the EU. Diplomats say several EU nations that currently import significant amounts of Iranian crude, such as Greece and Spain, dropped their objections to an embargo, allowing the agreement to be reached. Turkey is another major purchaser of Iranian oil. Turkish Foreign Minister Ahmet Davutoglu arrived in Tehran Wednesday for talks on bilateral relations and regional issues, including a political crisis in Iraq and an uprising in Syria. Before departing Turkey, Davutoglu said Ankara is opposed to the escalation of sectarian tensions in countries such as Iraq and Syria. He said Turkey wants to prevent a sectarian Cold War that he warned would be "suicide" for the region. The United States imposed its toughest financial sanctions yet on Iran at the end of December, penalizing institutions that deal with the Iranian central bank. China criticized the U.S. move Wednesday, saying the issue of Iran's nuclear program should be resolved through diplomacy. Tehran has responded by threatening to close the strategic Strait of Hormuz, a key shipping lane for global oil supplies.